Tile and grout are one of the most abused and neglected surfaces in our homes. Why? Because who wants to spend hours on their hands and knees scrubbing at each tile and grout line? Tile and grout cleaning can be a difficult and tedious task to tackle on your own. 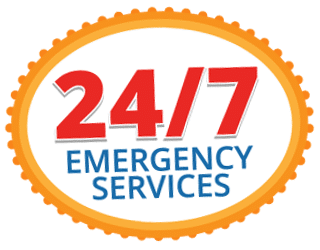 All tile and grout requires maintenance and All Brite Cleaning & Restoration are experts when it comes to tile and grout cleaning and sealing. Our state-of-the-art equipment blasts soil and dirt from tile and grout, leaving behind a health and clean look. Our equipment can handle any nook and cranny, giving your tile and a grout the complete clean it deserves. All Brite Cleaning & Restoration can seal or reseal your gout lines. Sealing your grout lines is important because if they are not sealed stains can become permanent. Our highly trained professionals will seal your grout with the best sealant on the market, this will make cleaning your tile and grout easier! 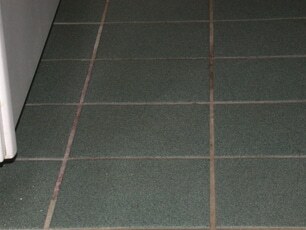 All Brite has a tile and grout cleaning process that is guaranteed to give you the best results! Our professionals will test your tile and grout to determine the safest and most effective cleaning method. In preparation of cleaning all dust and particulates are removed from the tile and grout. Deep rooted soils are rinsed and extracted from your tile and grout. We dry your grout with special floor dryers. 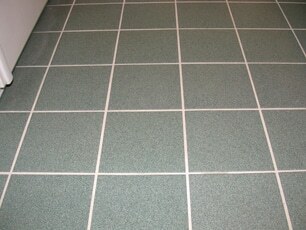 Professionals grout sealer is applied to your grout lines. Our professionals will squeegee sealer on your grout lines, assuring full coverage. We allow time for the sealer to penetrate the grout. Our professionals will closely inspect your grout lines and apply additional sealer if needed. We will buff your entire floor until we achieve a glossed finish. Don’t settle for anything less than the All Brite Cleaning Multi-Step Tile and Grout Cleaning & Sealing Process!